This is why many believers in Jesus Christ reject Christmas. (Pages 85 and 86): “Music is another important part of Yule, and Christmas carols are yet another idea taken from paganism. Many common Christmas carols contain pagan images that are not so subtle. “Carols are form an Old /French word meaning “joyous songs”, and were also the name of round dances celebrating the rebirth of the Frankish pagan gods. The English Christmas Carol “Deck the Halls with Boughs of Holly” contains not one Christian religious image.” (Note: That is because the images mentioned are pagan in their origin as we will see.) “When Yule rolls around you should feel free to have a lighted tree in your home, hang a wreath on your door, ring the jingle bells, and give gifts in memory of loved ones. Remember that this is a Sabbat, a pagan festival, a time that marks the return of the Sun god both to his Goddess Bride and to his joyous people. Let the Pagans keep their holly days. 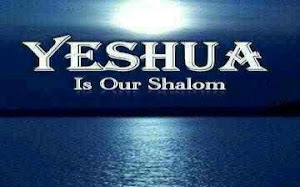 Let those who live by the Word of YHWH cling to the good, pure and perfect Holy Days that He gave us.